ACDelco Advantage Steering Idler Arms support the steering linkage of your vehicle, working with the pitman arm to allow the center link to move your tie rods and steer your vehicle’s wheels. These replacement components contain a hot-forged steel arm, metal-on-metal or full synthetic polymer bearings, and full-ball studs for durability and high-quality performance. 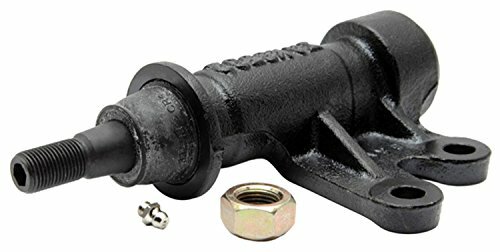 ACDelco Steering Idler Arms also contain plated castle nuts and hardware where needed. ACDelco Advantage Steering Idler Arms offer quality at an economical price. View More In Idler Arms & Parts.